It looks like Charlie is meowing at her <3 So cute!! Wonderful…..Belle just needed the space to be all hers….that same happened with my two kitties. Robin Elizabeth had been elusive until she was the queen cat and soon became a fabulous cat. 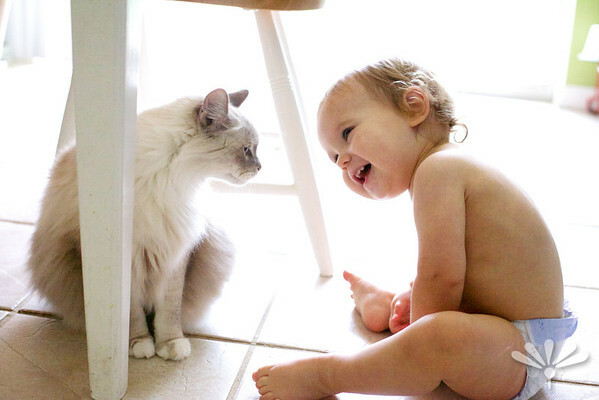 Jim loved her as early on said she had become “a very satisfactory cat.” Cats and kids make for charming photos!!! You have proven that! Charlie and Bella are having a wonderful conversation!